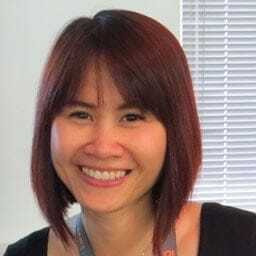 Chui Chui Tan - SmashingConf Freiburg 2018, September 10—11. Chui Chui started her UX career more than a decade ago, working with organisations such as Spotify, Marriott, BBC, Google and Clarks, from initial research to design to develop multi-channel international strategies. She has founded Beyō Global, a consultancy which helps companies use market, user behavioural and cultural insights to design a better product and service for their customers (domestic and internationally). Chui Chui is also the author of the book International User Research, the editor at Smashing Magazine and a regular international speaker. Whether or not the product you’re creating is currently only being sold in one country, it’s always crucial to design and build it with global audiences in mind. Many businesses are convinced that designing for other markets means copying their successful business model in the home country. They believe that localisation is about translation. They design their products without properly understand what changes are needed and why they are needed. Even big companies do not always get it right. In this talk, Chui Chui will discuss how these inaccurate perceptions can lead to flawed businesses and decisions, and explore why and how to understand and design for users in different markets.